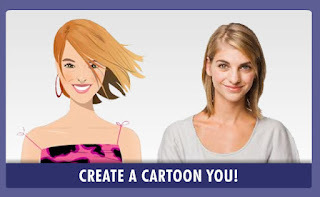 Cartoon Generator promises the ability to alter any photograph into a cartoon. The program offers a simple set of tools and a user-friendly layout, but the end product is far from a traditional cartoon. The program's interface didn't bowl us over with its design but was still quite simple to operate. We needed a brief trip to the Help file's instructions to understand what all the sliders controlled, but were soon making changes to our photo. By adjusting things like brightness, brush size, and dot sensitivity, we were supposed to be able to create a cartoon. However, our picture didn't change, and we needed to hit the preview button for a look. The results were nothing that could have been considered a traditional cartoon. Our images simply looked like they had been doctored with photo filters we'd seen with countless photo-editing software and were nothing close to an animated or cartoon image. One pleasant surprise was a special feature sidebar that popped up with the preview, letting us see our settings applied to other photo-editing quality filters, such as sepia tone and blur. However, these filters still didn't produce images that looked anything like cartoons. Cartoon Generator simply offers the features of an average photo editor under the guise of a special tool for creating cartoon images.